The Malla kings ruled the Kathmandu Valley’s city-kingdoms through the medieval period until the ascension to power of the Shah dynasty and unification of Nepal in 1768. 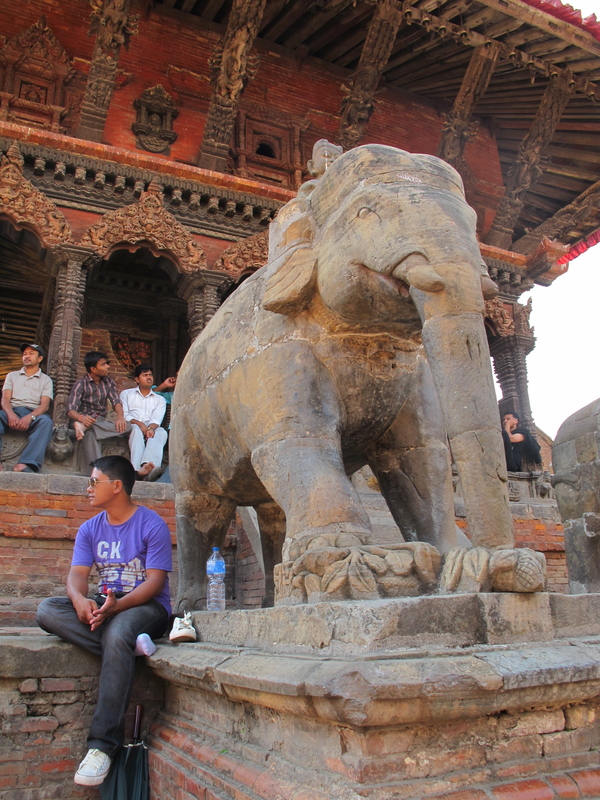 Much of Patan’s stunning architecture dates back to the Malla period. 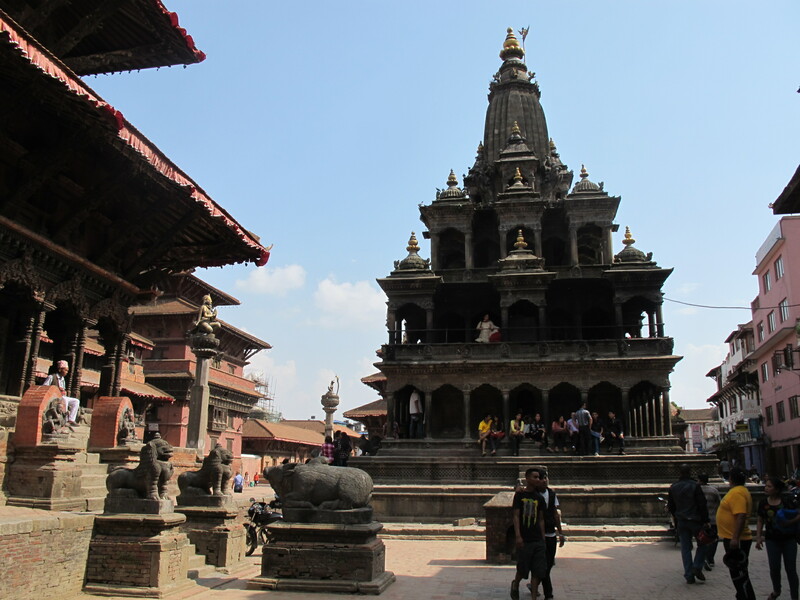 In some ways, Patan’s Durbar is even more eye-poppingly beautiful than Kathmandu’s simply because it’s more compact. 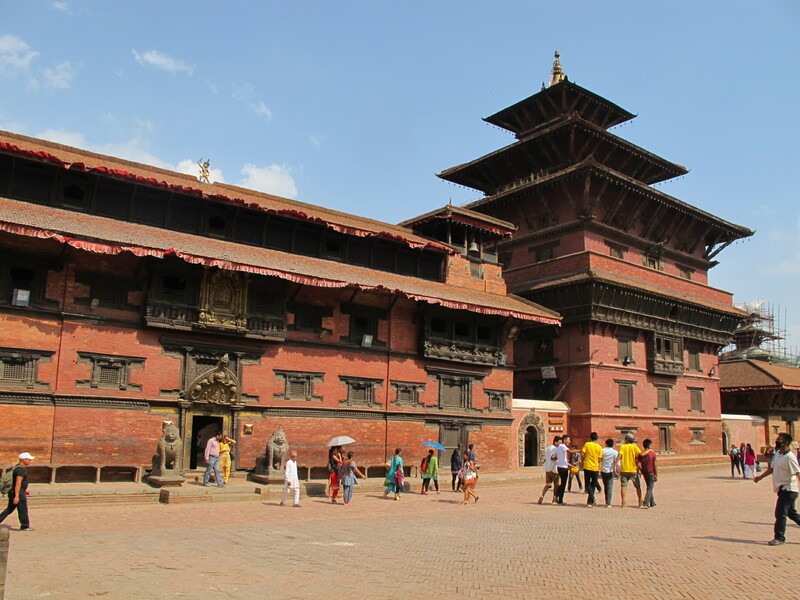 While Durbar in Kathmandu consists of three loosely connected squares – all magnificent in their own right – here all the amazing temples fit into one very much postcard-like square. 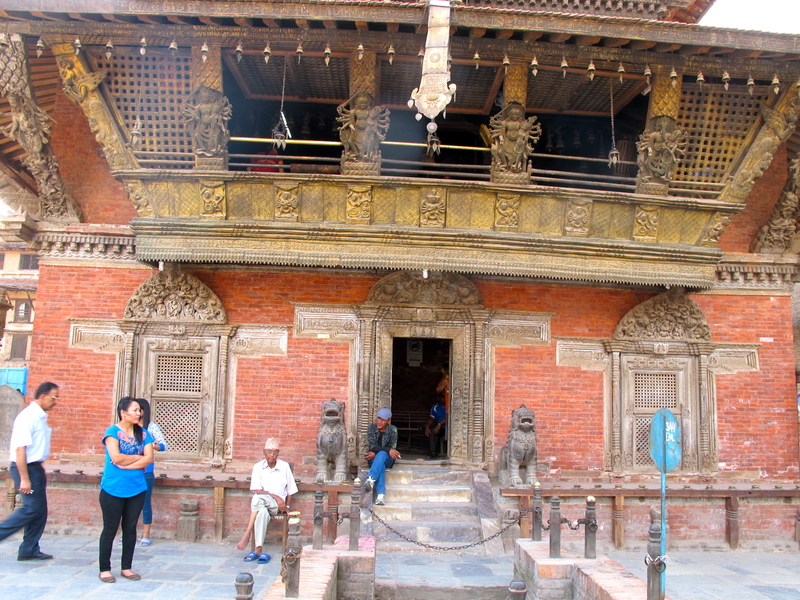 The Patan Royal Palace, built in the 17th century by King Siddhinarasimha Malla, dominates the square. 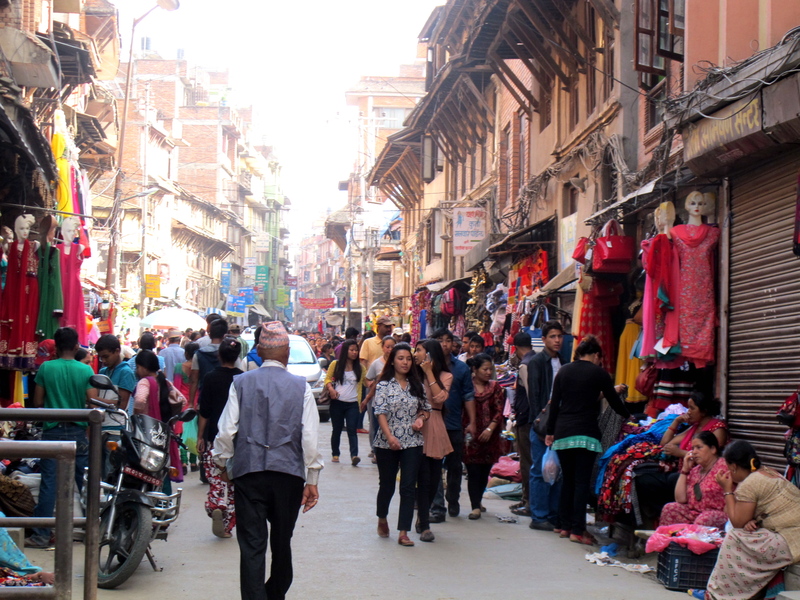 (By the way just like in Kathmandu and Bhaktapur you can’t just wander into the square – at each entry point there are ticket booths so don’t loose your ticket if you explore a side street and then want to come back.) 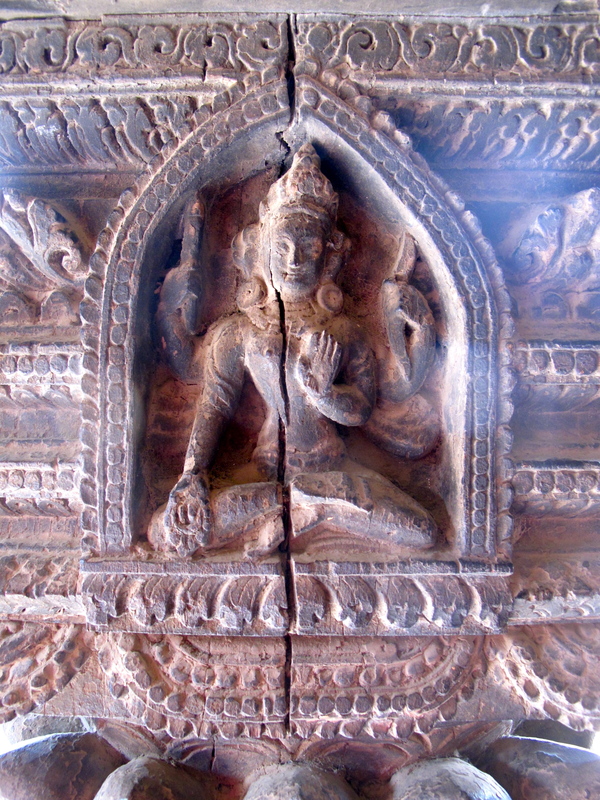 Located in the palace complex is Patan Museum, arguably the best in the country. Then there is the impressive Krishna Mandir, the most important temple in the square. This three-story stone temple was built in a style imported from India and its elaborate carvings portray scenes from the two famous Sanskrit epics: Mahabharata and Ramayana. 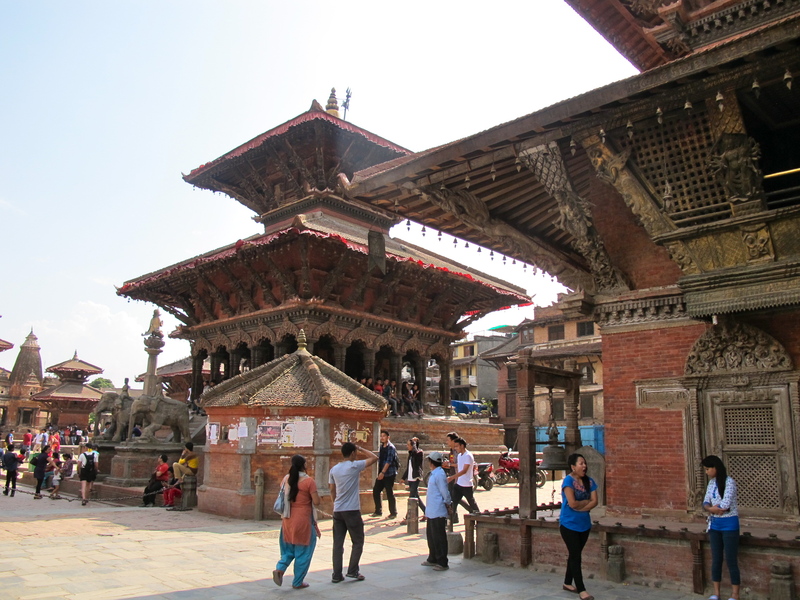 Opposite Vishnawath stands Bhimsen Temple devoted to the Newari god Bhimsen who watches over traders and artisans – the two professions that were the lifeblood of Nepal for centuries. In fact, an image of Bhimsen used to be carried to Lhasa in Tibet every 12 years to protect the key trade routes crossing the Himalayas. That centuries-old trade, which was the source of Kathmandu Valley’s and Patan’s opulence, ended when Tibet fell to China in 1959. For a deeper taste of daily life in the city watch this beautifully short film made by a traveler/film maker Alexander Rose after he had spent six months in Patan. Nepal: One Day In Patan from Xander Rose on Vimeo. 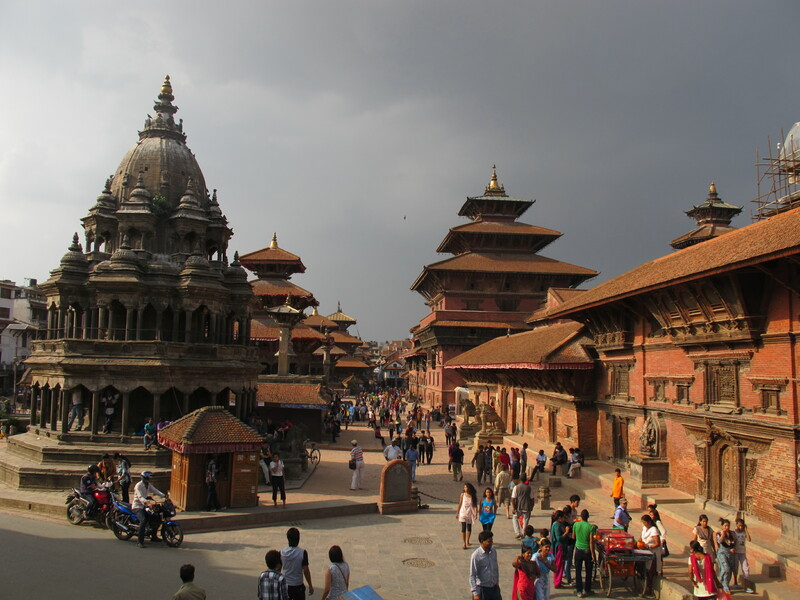 Ania, what beautiful captures of this often overlooked Nepalese city! As an ancient temple enthusiast I can imagine myself being fixated to those intricate ornaments in each temple.